The Centre Nature Les Cerlatez is situated in a hamlet of Les Cerlatez in the Franches-Montagnes region (Switzerland, Jura). The hamlet « Les Cerlatez » is part of the municipality of Saignelégier. 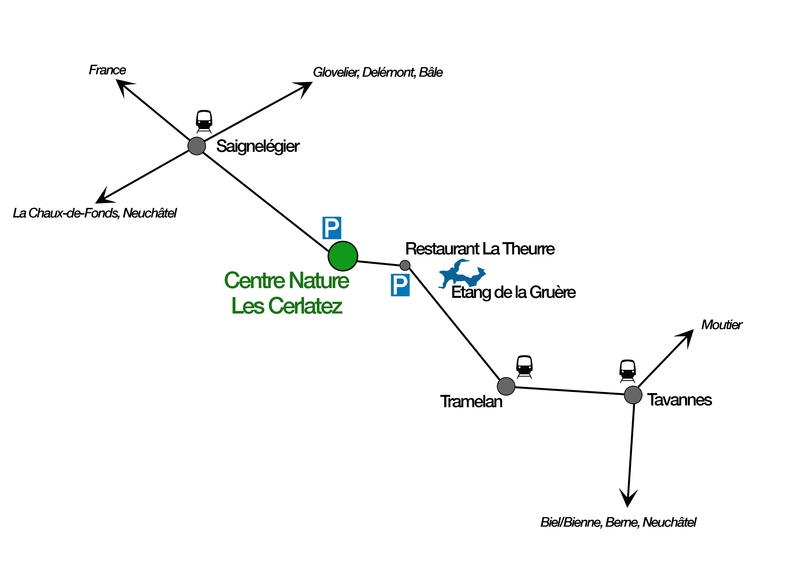 From Saignelégier, Les Cerlatez is situated at around 3km in the direction of Tramelan. The Centre Nature is the big white building at the end of the hamlet, on the left. You can equally see its localisation on the map below.